Douglas, brother of Andres Duany, Seaside’s co-town planner along with wife Elizabeth Plater-Zyberk, served as an unofficial landscape architect during Seaside’s early years in the 1980s. He advocated using indigenous plants whose natural requirements are appropriate to the local climate to avoid losing water to evaporation and run-off. This practice now known as xeriscaping was innovative at that time and caused the resisting of some houses in Seaside to preserve areas with significant groupings of shrubs and trees. After a decade of designing private and public spaces, Douglas received his master's degree in landscape architecture from Harvard Graduate School of Design in 1990. Since then, he has worked on many pivotal architectural and urban projects all over the world. He has taught as a visiting professor of architecture at the University of Miami and the University of Florida and is presently a professor at Notre Dame. Always involved in theoretical issues in the internal platforms provided by the Congress for the New Urbanism, Douglas received the first Chair of Urban Ecology given by the Princes’Foundation for the Built Environment in London. Douglas’s work has taken him outside of the country and into some less than comfortable situations over the years. 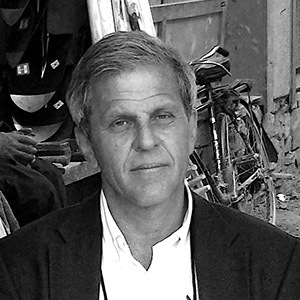 Douglas also created the Kurdish Transect and worked on architectural typologies, northern Iraq urban typologies and helped Swift with preparing presentations for the Prime Minister’s advisors. In 2008, the Prince’s Foundation needed someone to go to a historic part of Kabul to rebuild houses, train the community in traditional building and crafts and create a local economy and culture.